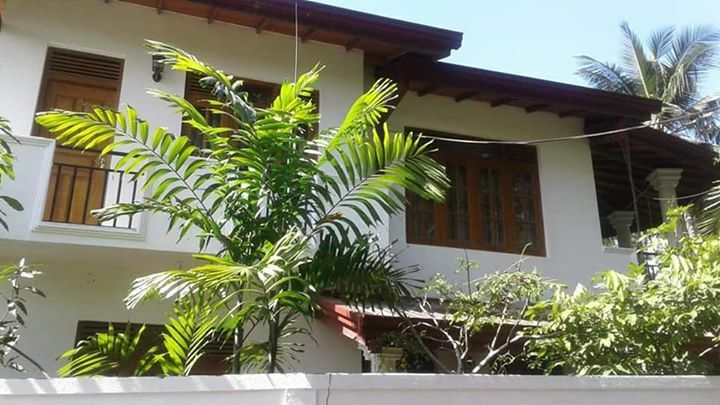 PILIYANDALA, KESBEWA – Elegant 2 Storied house in a residential & quiet neighbourhood for IMMEDIATE SALE. Access :- Situated in a convenient locality, the property is just 150 meters from the Colombo – Horana main Rd (120 bus route), with 20 Feet tarred motorable access to the doorstep. Short drive to the Southern Expressway through Kahathuduwa and, Piliyandala or Kesbewa towns. Other places such as Kottawa, Maharagama, Katubedda & Boralesgamuwa are within accessible proximities. Amenities within close proximity :- All state & private banks are short drive away. Other facilities such as Supermarkets, Schools & Leisure are easily accessible. Land Extent :- 11.5 Perches. 3 Bathrooms (1 Attached & 2 Common - 1 with Hot / Cold facility). Pantry & separate store room. • High parapet walls & large gates secure the property. • Parking available for 2 vehicles. • Garden space & backyard. • Electricity & Pipe borne water with 2 tanks (500 liters & Overhead 1000 liters). • Seasoned quality timber used for Doors, Windows & Ceiling. • Walls constructed of Bricks.